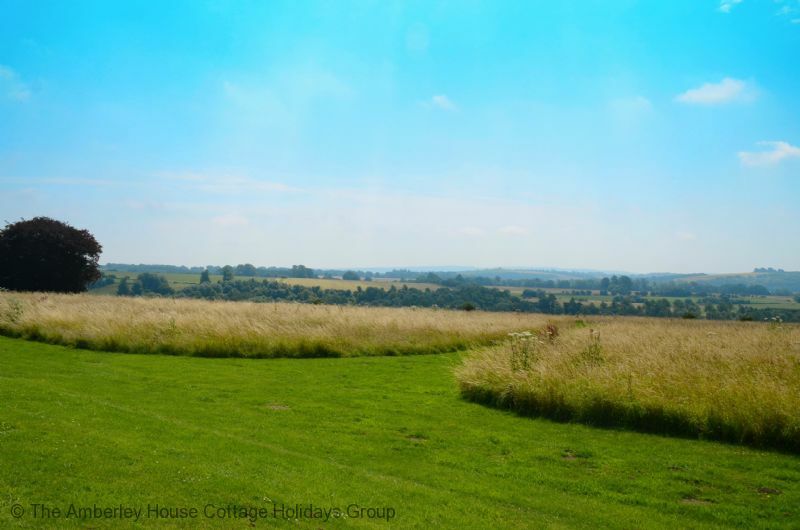 In the heartland of the South Downs National Park, this rural holiday cottage is perfectly placed for a peaceful countryside break. 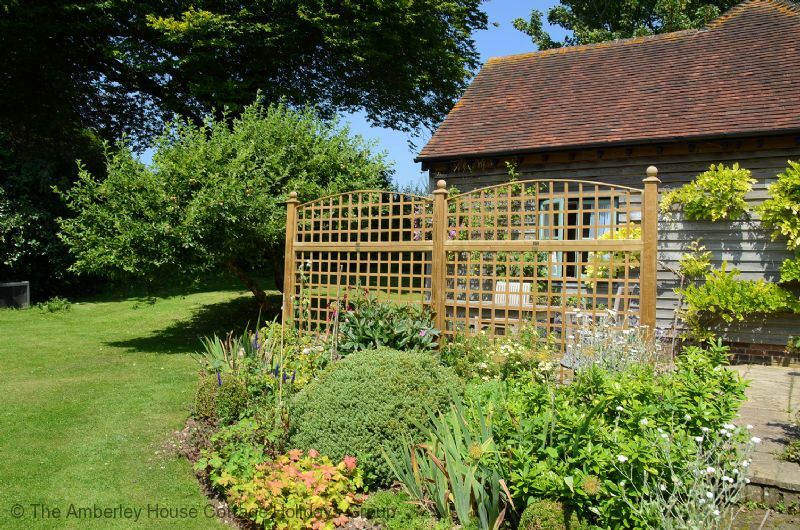 The Print Studio is a perfect hideaway in beautiful surroundings just outside the village of Compton. 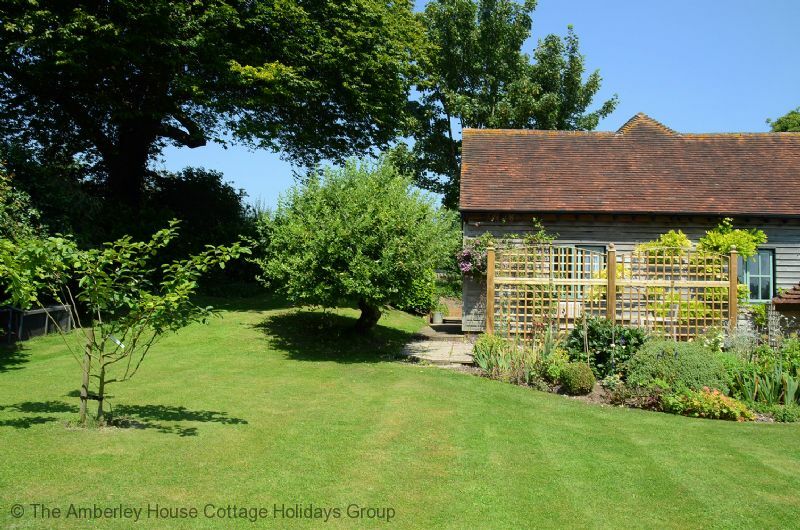 Set within the Owner's grounds, the cottage is surrounded by the rolling hills of the South Downs National Park. 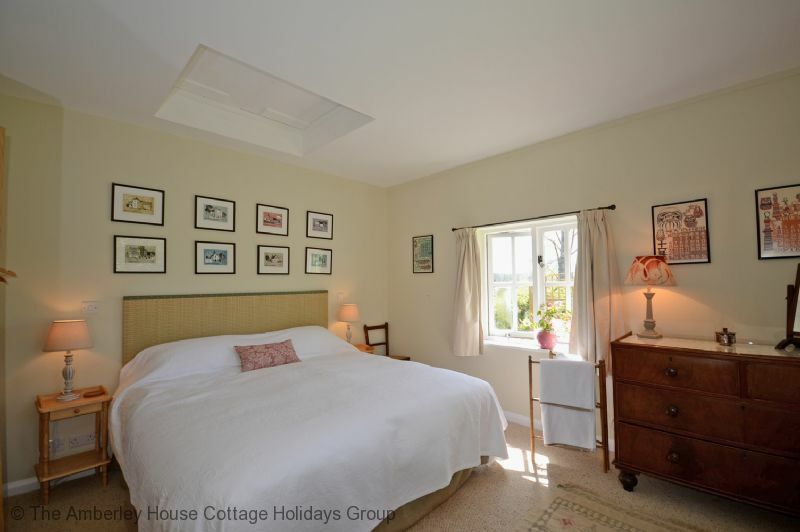 The cottage has a natural and welcoming decor which is accentuated by the multitude of artistic prints which reflect the Owners' graphic design background showing both local and Asian influences. 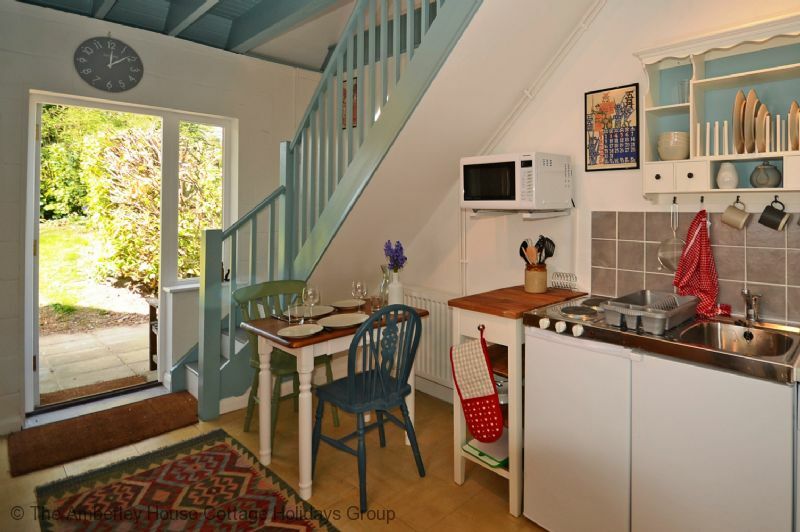 The kitchen is well equipped and welcoming with all the requirements for a short break away and the option for both inside and outside dining. 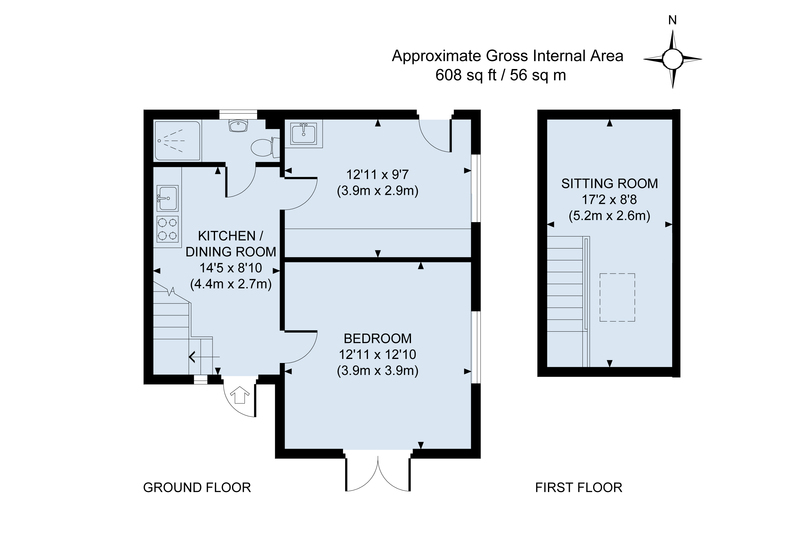 The ground floor bathroom has a bright, fresh feel with a shower cubicle, basin and WC. 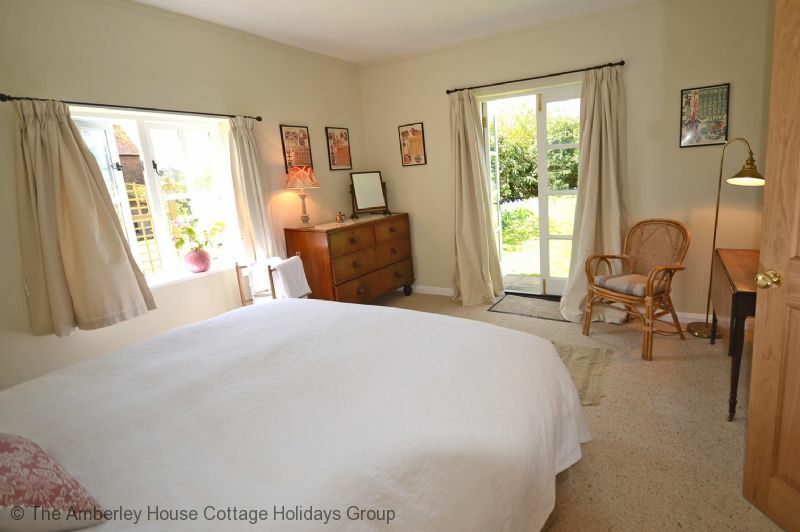 The bedroom, with an option for a super-king or twin beds, is a tranquil, spacious area providing direct access through patio doors onto the cottage garden area. Upstairs, you will find the cosy TV viewing lounge with two comfortable armchairs to relax in after your days' excursions. The south facing terrace at the front of The Print Studio provides a lovely seating area for a morning cup of coffee while the garden at the side catches the afternoon sun. 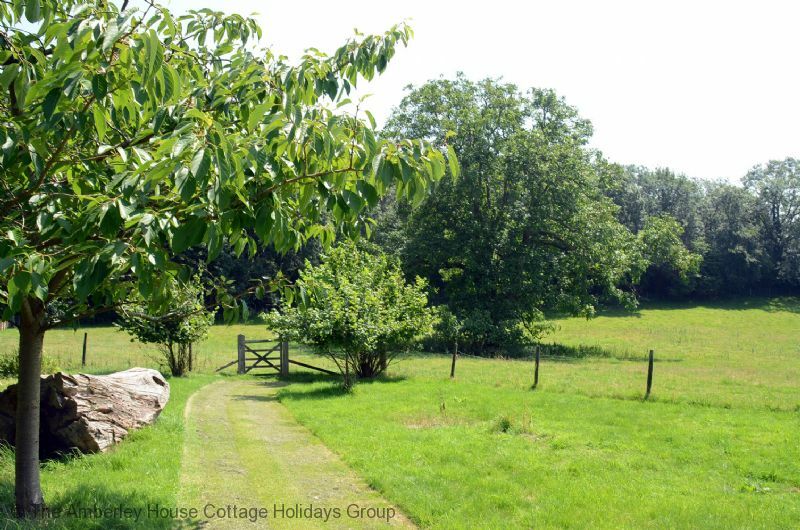 On occasion, you can spot the Bantam chickens roaming across the Owners' garden in front of the cottage and there are friendly sheep in the fields behind. 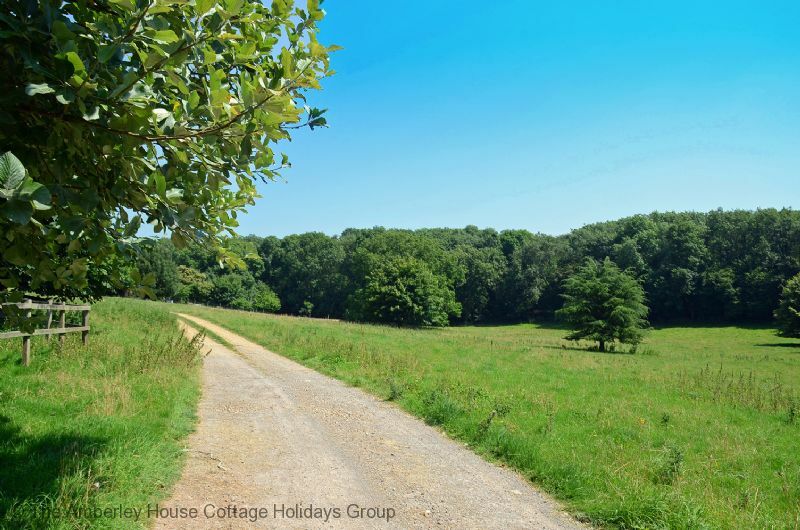 There is parking provided in an open door garage area at the rear of the cottage which then directly leads onto public bridleways to walk out over the Downs. Given the beautiful rural location, please note that there is limited mobile phone signal. 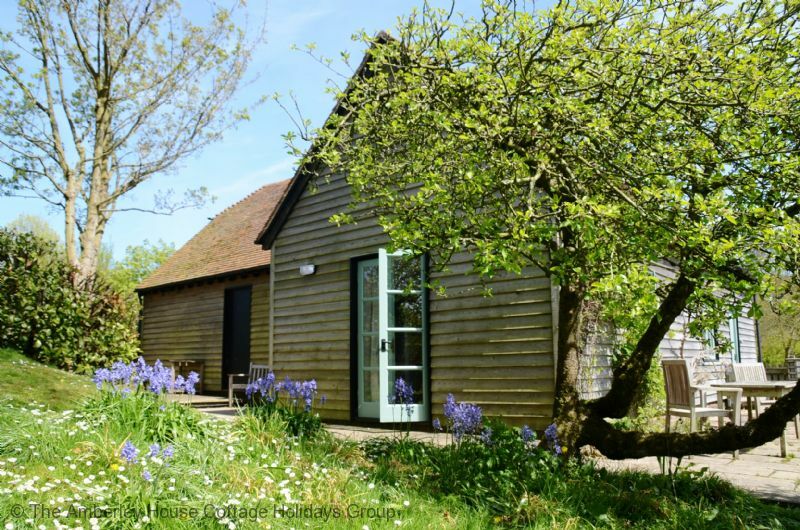 The Print Studio is situated in the heart of the South Downs National Park with bridleways and walkways on the doorstep. 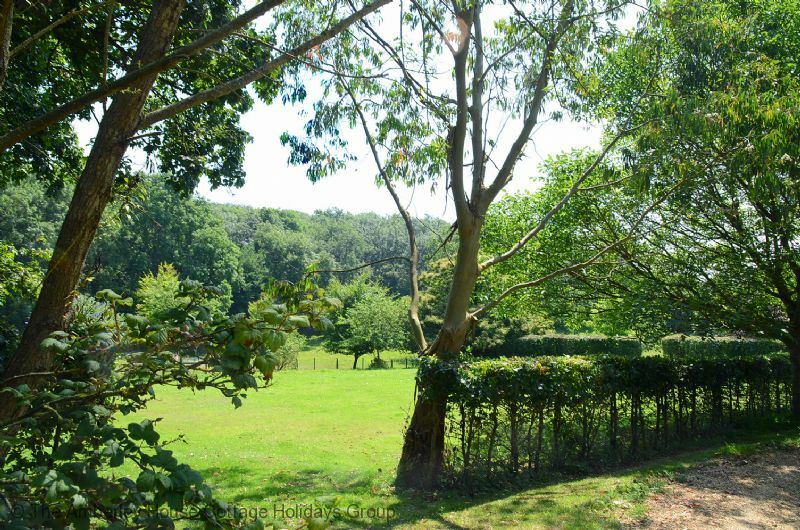 It is situated just 2 miles from the village of South Harting with direct access to the South Downs Way where there are many organised activities such as running, walking and cycling. 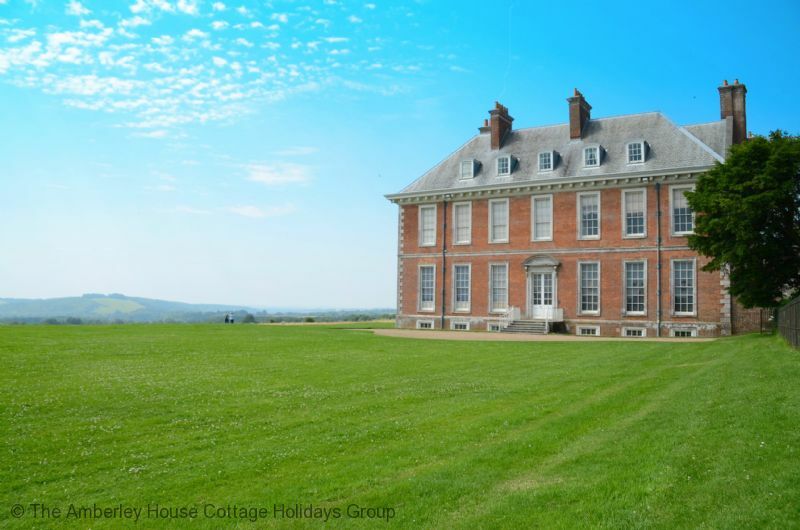 The wonderful National Trust property, Uppark House & Gardens is a 5 minute drive away from the cottage, perched on its vantage point high on the South Downs ridge, Uppark commands views as far south as the English Channel. There are gorgeous Georgian interiors and rare dolls' houses from the 18th century to view inside and why not explore further and discover the network of servants tunnels beneath the house utilised to carry out duties away from the sight of the family. The Uppark Gardens were designed by Capability Brown and there is something to see every season such as the scented garden in the Summer and the Norway Maples in the Autumn. The lovely picturesque town of Petersfield is just 7 miles from The Print Studio, this ancient market town was originally built as a Norman 'new town' at the end of the 11th Century. The main square provides an attractive focal point providing the perfect venue for twice weekly markets on Saturdays and Wednesdays. At its centre stands the magnificent equestrian statue of King William III. The Church of St. Peter dates back to 1120 and retains many original features. The town has a vibrant musical and artistic scene as well as many restaurants, cafes and bars to frequent. 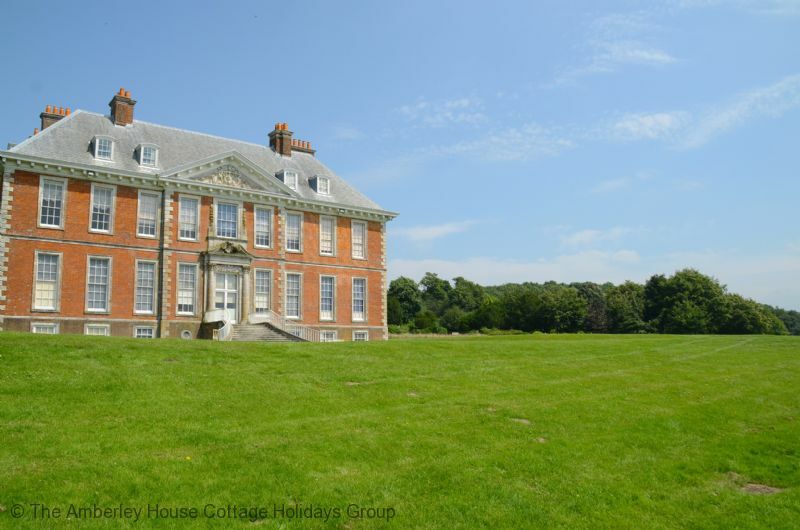 Within 20 minutes drive and you can be visiting the Queen Elizabeth Country Park which is the largest Country Park within the South Downs National Park, with 600 hectares of dramatic downland and beautiful woodland. 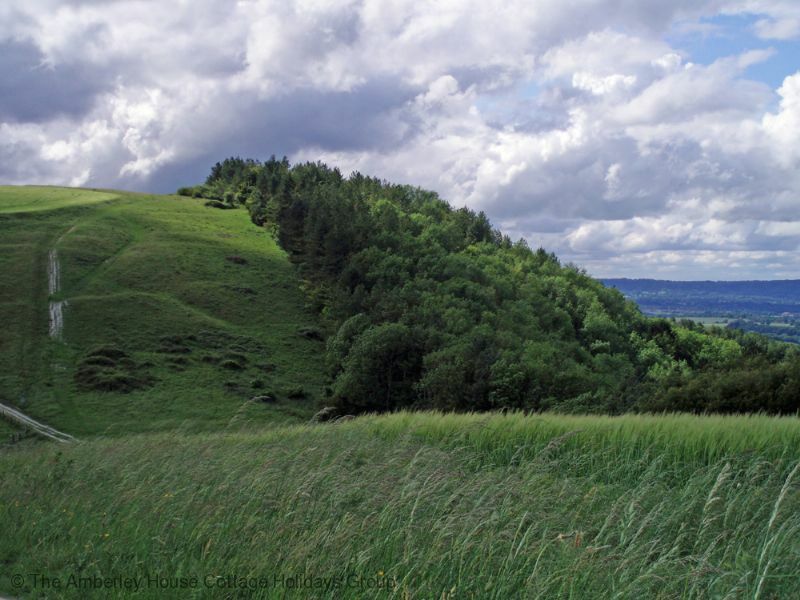 Admire the fantastic views from the South Downs Way from the peak of Butser Hill, the highest point in Hampshire. The Print Studio is within a 25 minute drive of all the Goodwood events that occur through the season and Trundle Hill offers spectacular views back over to the city of Chichester as well as a great view over Goodwood Racecourse. 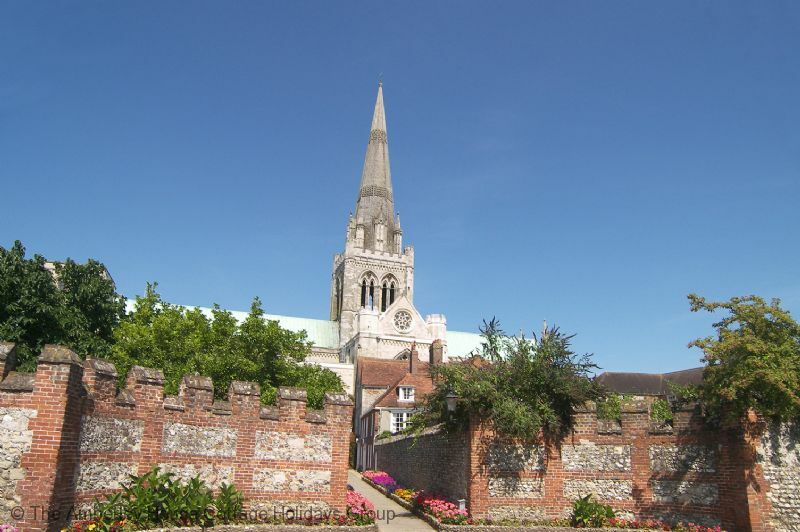 Further afield and you can visit historic Portsmouth which is famous as the home of HMS Victory and also more recent years the Mary Rose. The historic dockyard sits right next to Gunwharf Quays and the Spinnaker Tower which offer spectacular views over Portsmouth and the Solent. The Print Studio - 409843 The Print Studio. 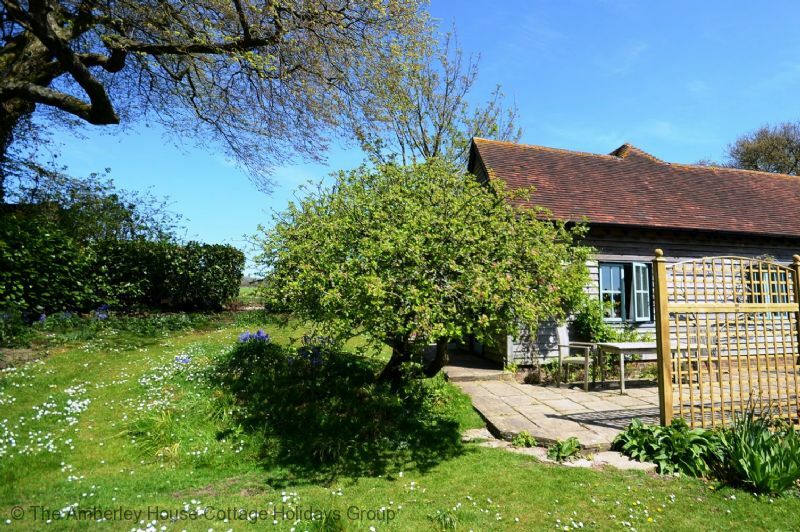 A relaxing, rural holiday cottage in the heart of the South Downs near Queen Elizabeth County Park. Easy access to Petersfield, Chichester and Portsmouth. "This hidden gem was a Godsend for us as a bolthole from the madding crowds The owners were delightful, helpful and unobtrusive and the studio, whilst compact was not small Featuring all that would be required for 2 it served us perfectly and was great to return 'home' to at the end of each busy day As a purely personal opinion we would have preferred a less firm bed, but this for ourselves could be improved by 'comfort toppers' We would have no hesitation in recommending The Print Studio to friends and will no doubt return to its charms ourselves "
"Joanna was very welcoming and friendly. Set us up and left us to it. The studio had all we needed and the weather was perfect. It's a great base for exploring the South Downs Way, which you can walk up to in about 25 mins or cycle in about 5. 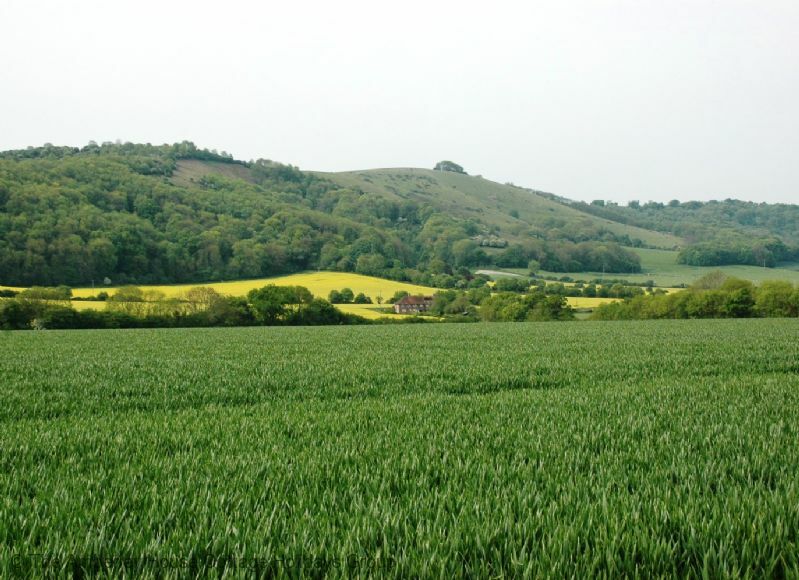 Nestled between Compton and South Harting, the local countryside is picture postcard perfect. 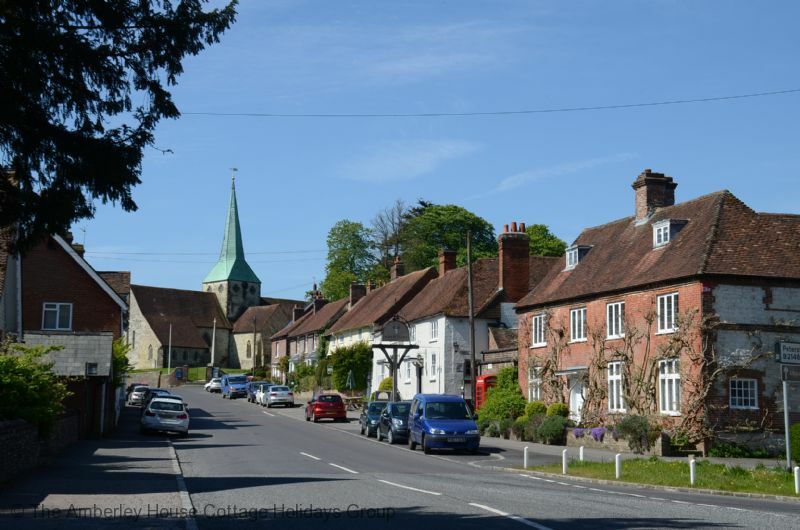 It's a great base for the area generally as Arundel, Chichester, Winchester, Portsmouth are all a short drive away, plus the beach and a good local pub serving very good food (The White Hart in South Harting). An added bonus was use of the family pool when not being used by the family, a very friendly Pekin Chicken and friendly dogs. " "What charming accommodation The Print Studio is. 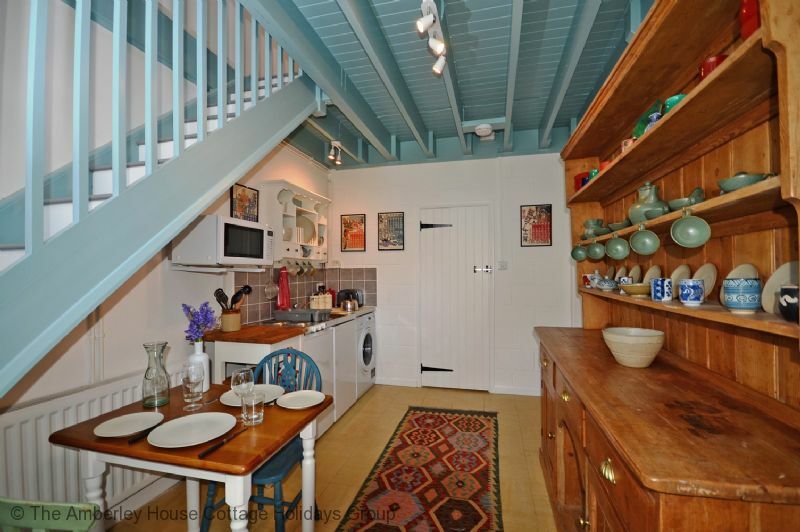 Very peaceful location, would definitely look to return"
"Although this cottage might be the tiniest we have been at so far, it has everything you like for a nice week 'away from it all'. Its lies tucked away in an astonishingly beautiful area. Also we slept very well as the bed was very comfortable! Elisabeth and Erik Jan"
"A lovely place to stay. Peaceful. there are walks from the house. Managed to get out and about despite the weather. " 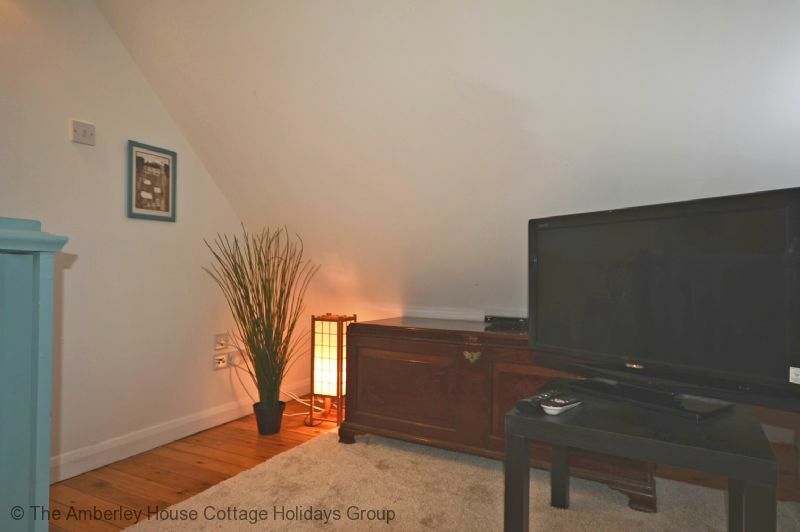 "Lovely location with scenic walks on your doorstep. A very quiet and peaceful setting within the grounds of the owners house. Friendly welcome by the owners. 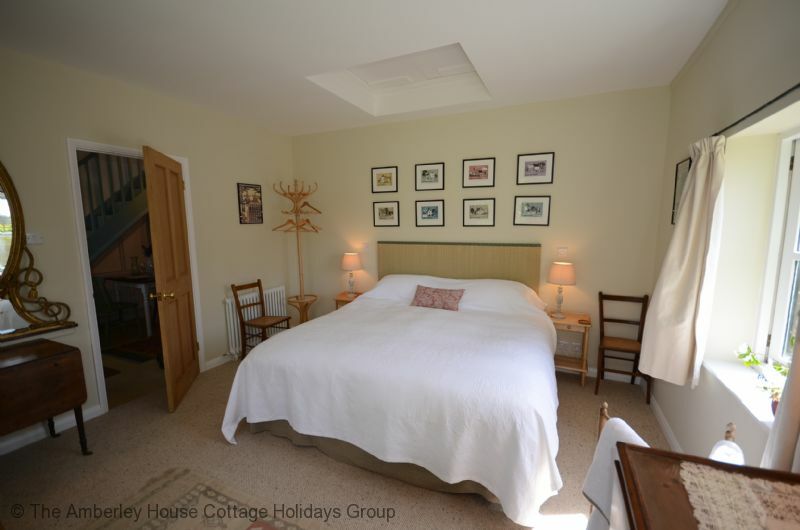 The accommodation is very comfortable and supplied with all that you need for your stay. This was our first visit to West Sussex and we were truly captured by it rural beauty and will be returning again, would be more that happy to come back to the Print Studio. " "We had a splendid week here blessed with fine weather. Made an excellent base for exploring the beautiful countryside and small villages locally. Cottage small but complete (might feel smaller if it was constant wet weather and you were keen on staying in most of the time) and we (retired couple one with mobility problems) found it perfect for our needs. Good sitting out area in front of cottage getting plenty of sun. Very quiet except for bird song, bees, odd chicken, & occasional mower! Helpful and pleasant owners on hand for queries and dealt effectively with one minor problem (microwave oven). Great stay!" We are glad that you had a wonderful stay at The Print Studio, we agree that it is a wonderful rural retreat and great that you had the weather to complement this. We hope you return to Sussex again soon! 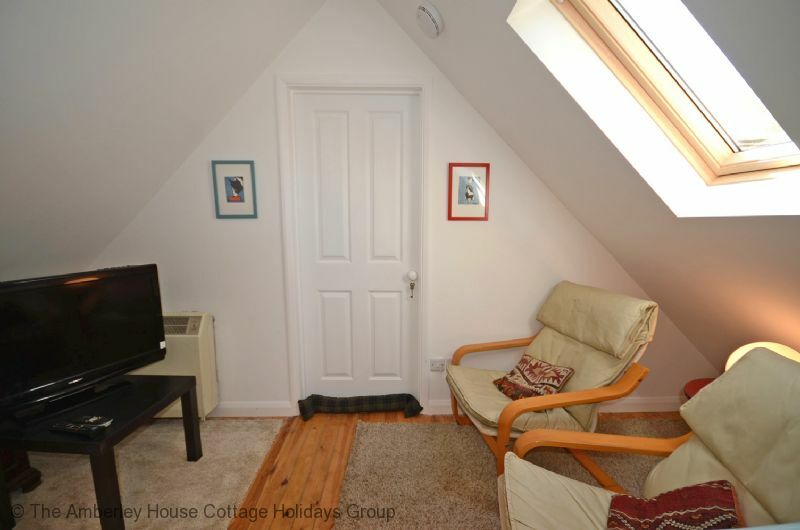 "Quirky, quaint little cottage, very well equipped, lovely setting. The weather was very foggy and cold but would be delightful on a warm summer evening to sit out. Very quiet and peaceful." "Very nice surroundings, nice,quiet, clean. Picturesque setting with a garage. Very close to many back country hiking paths. Chickens in the back yard and sheep in the front "